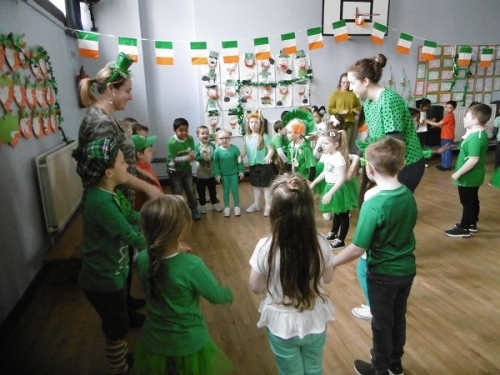 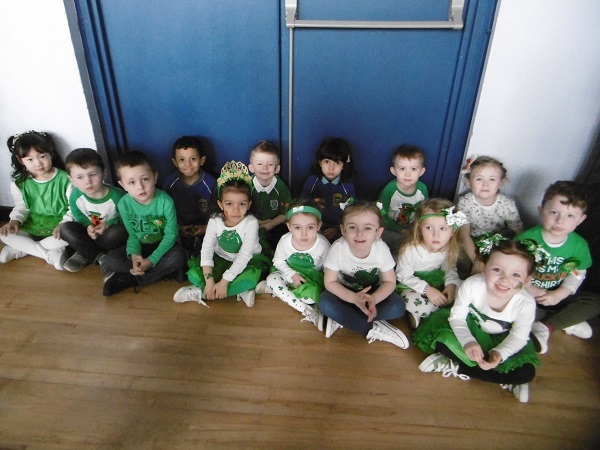 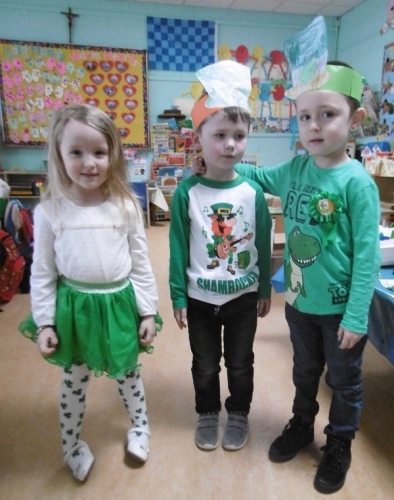 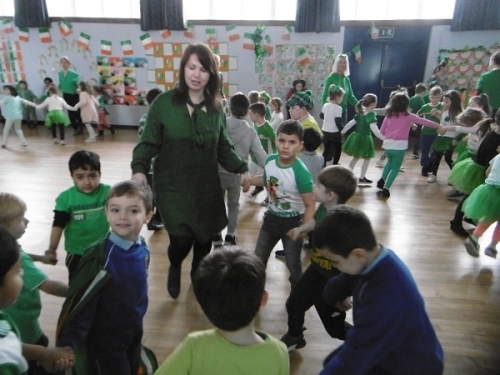 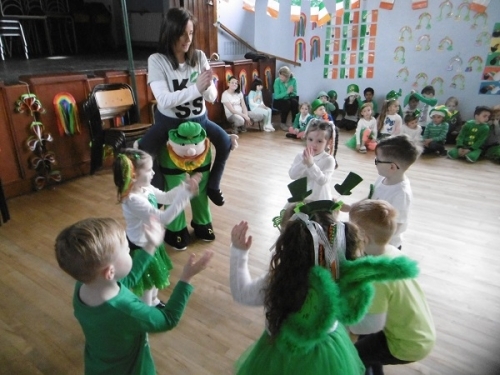 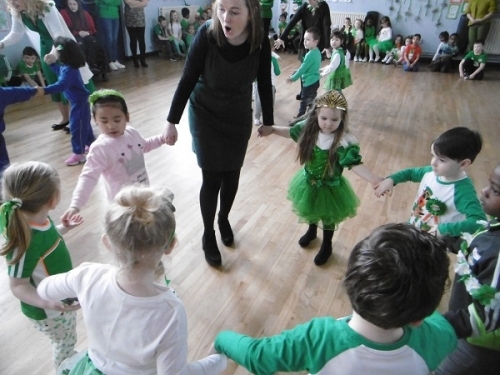 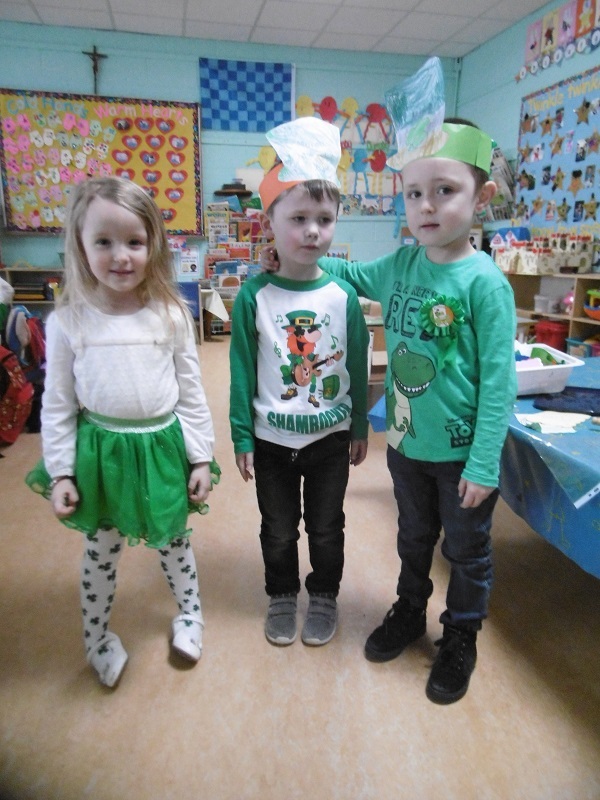 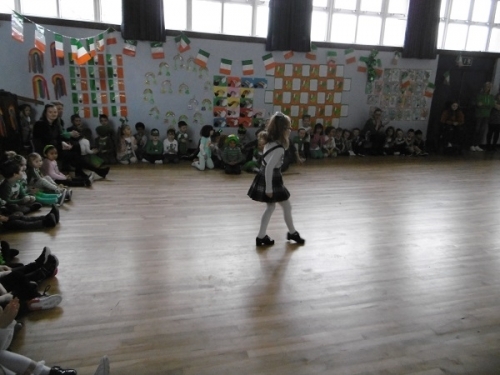 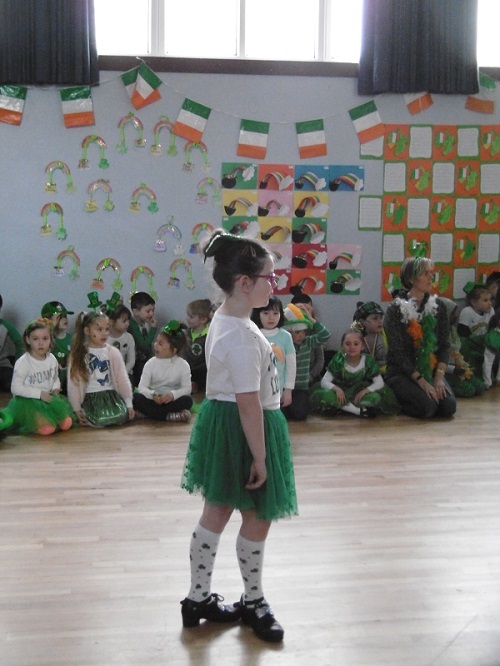 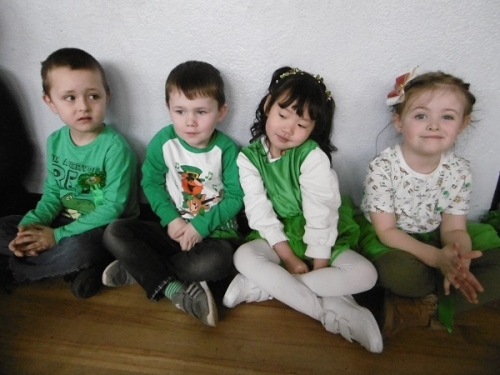 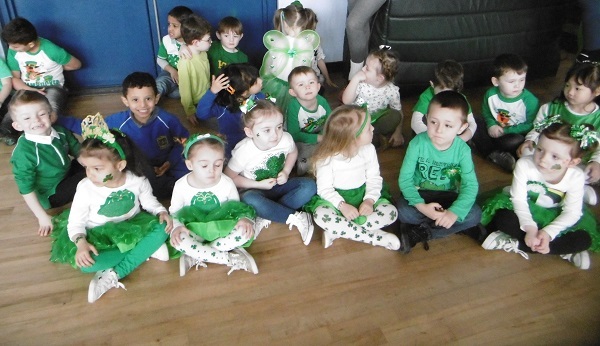 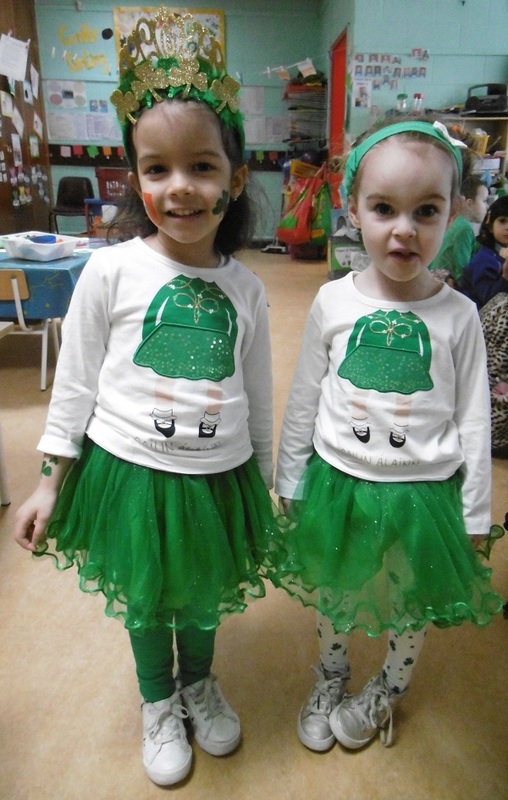 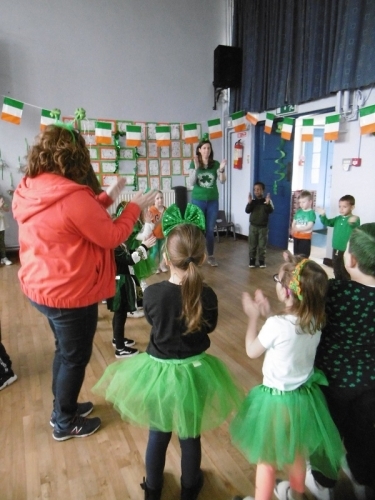 Seachtain na Gaeilge sa Scoil. 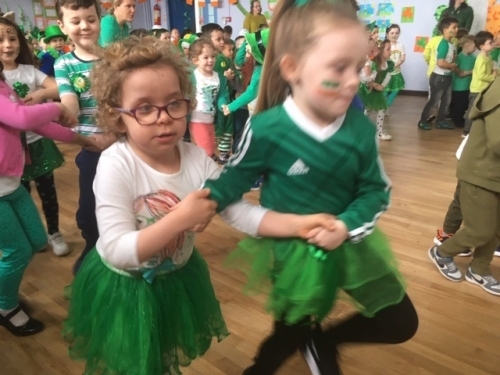 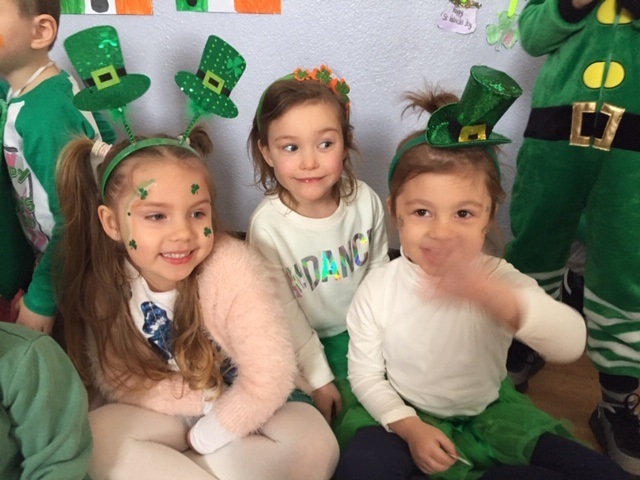 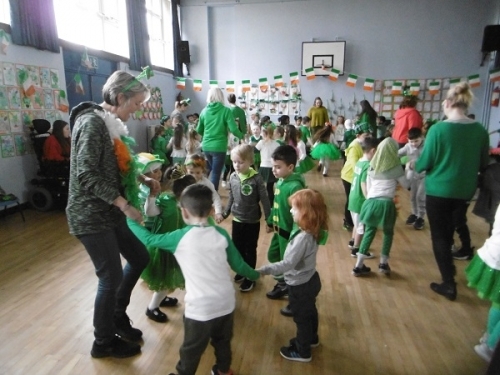 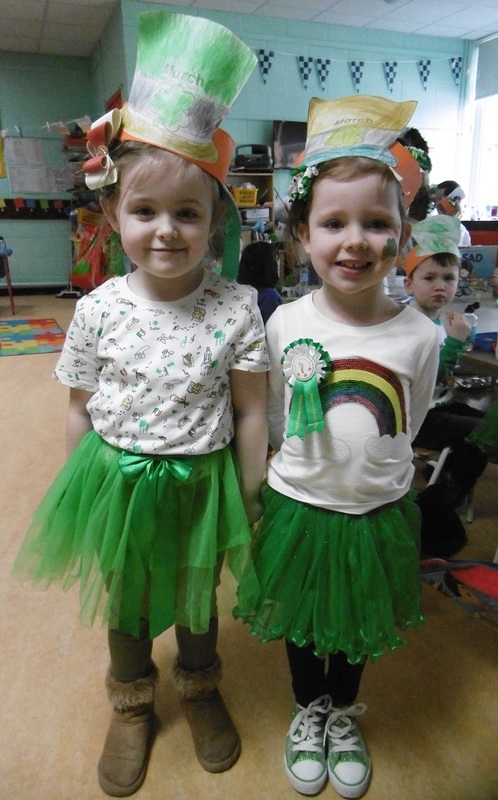 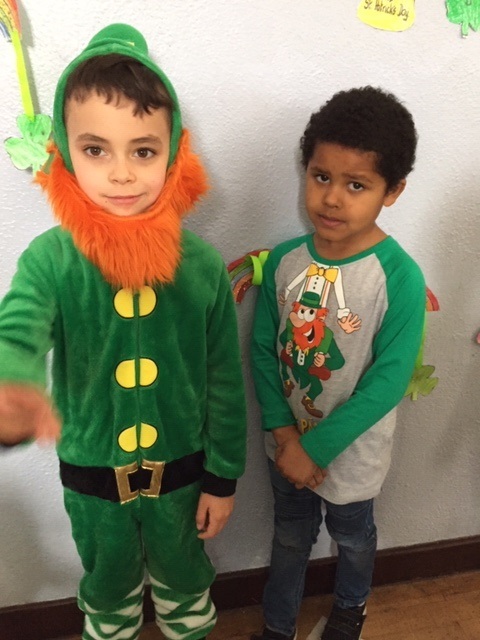 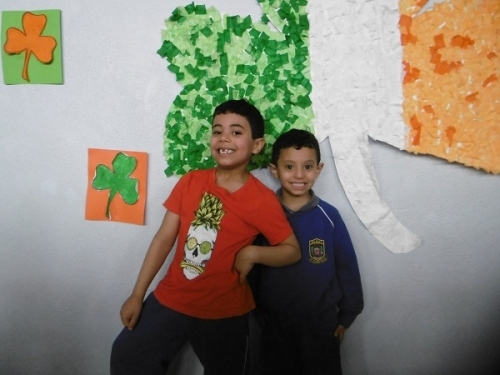 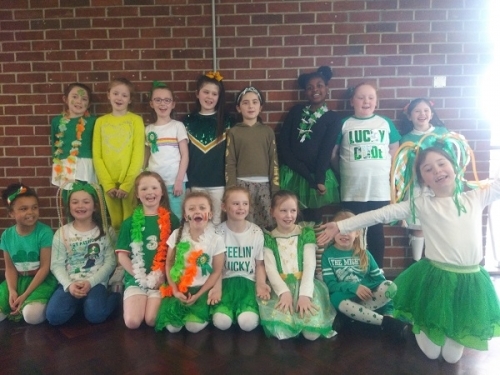 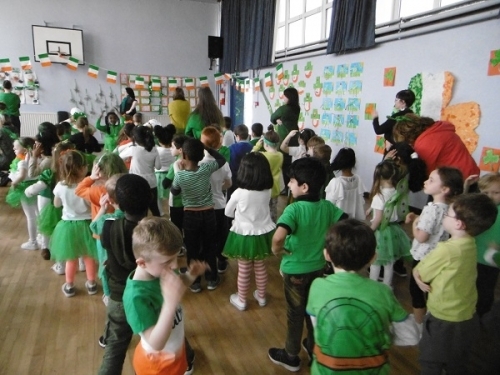 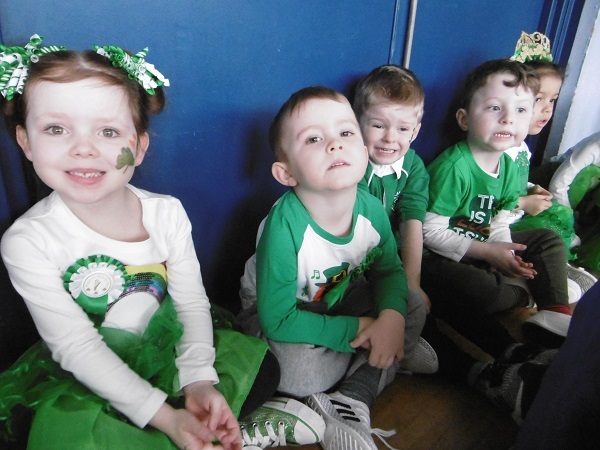 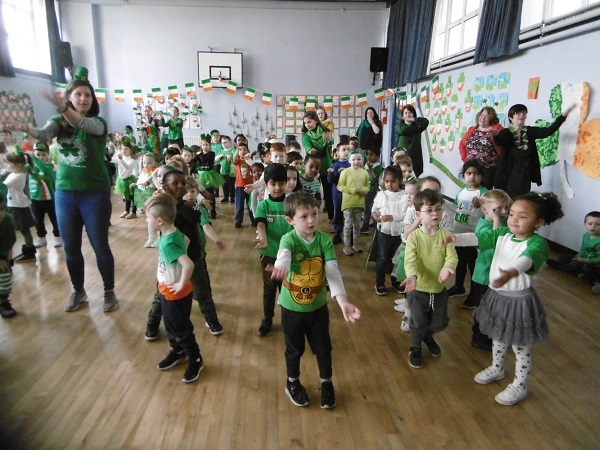 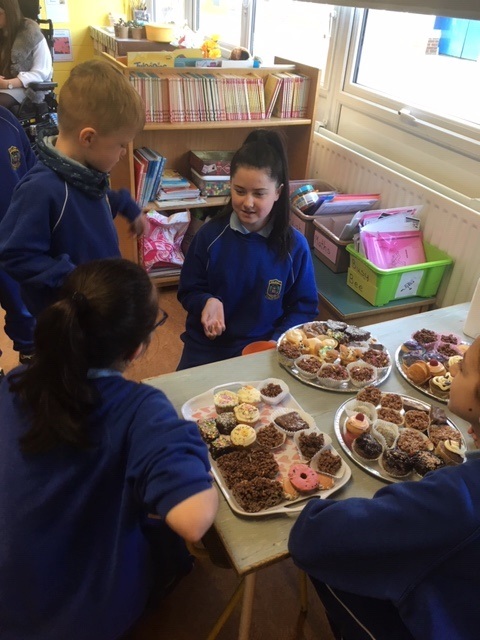 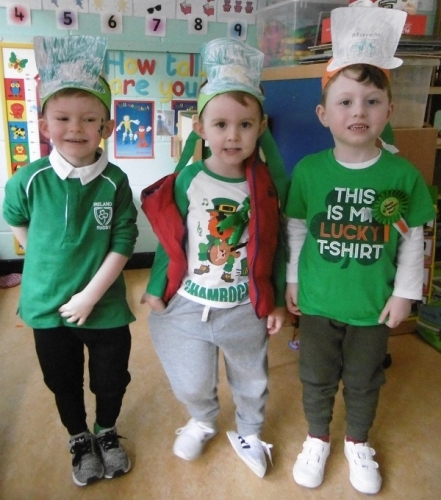 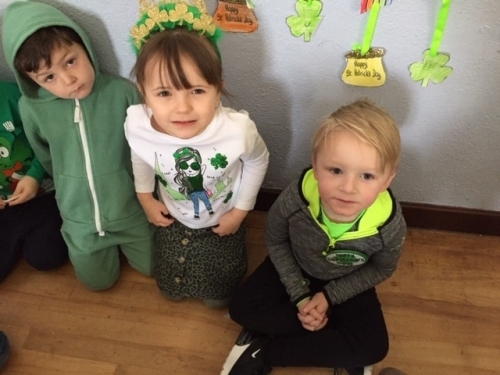 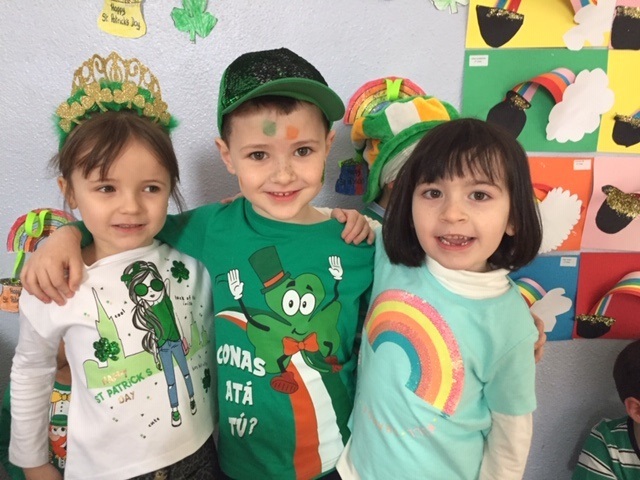 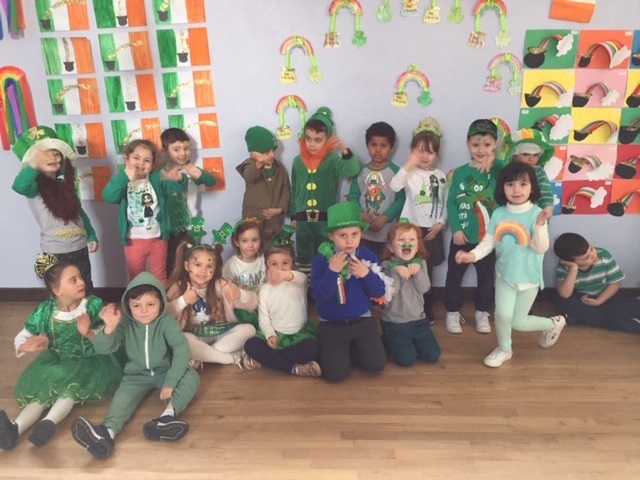 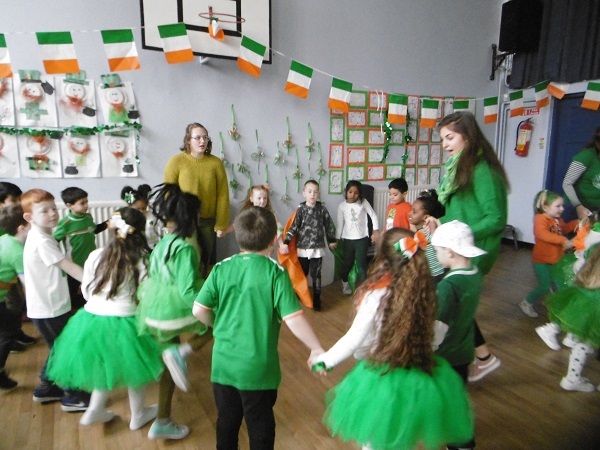 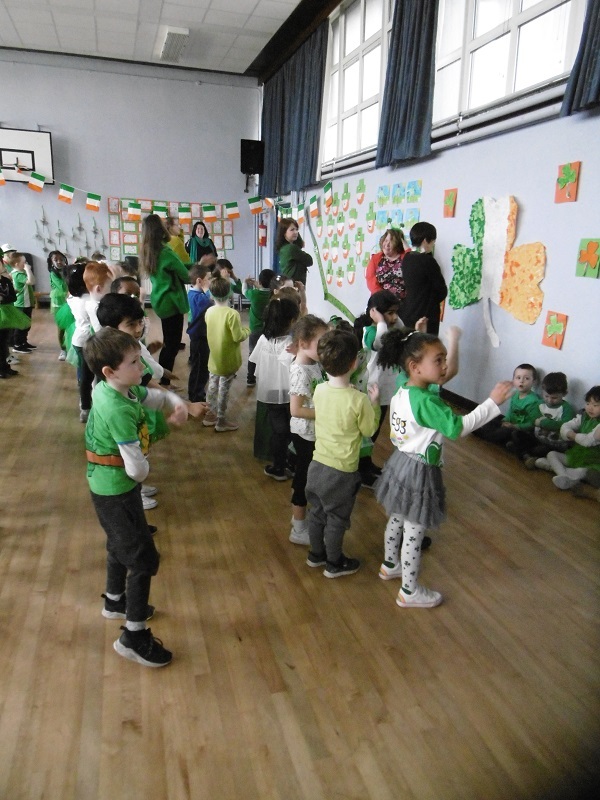 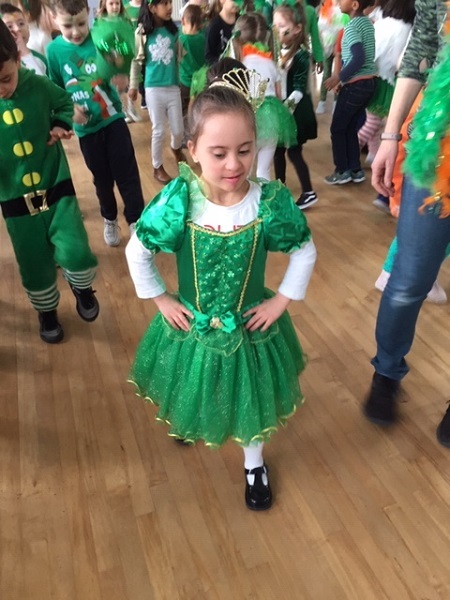 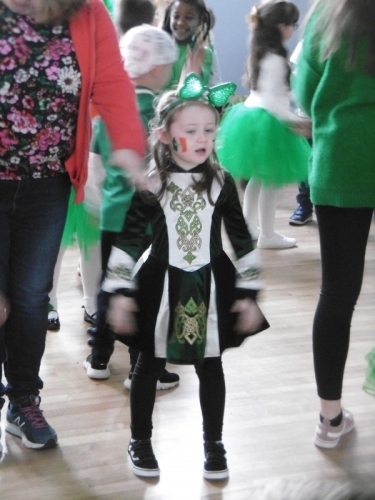 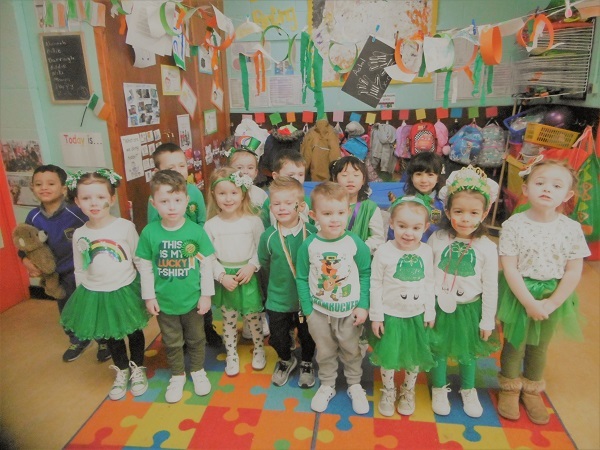 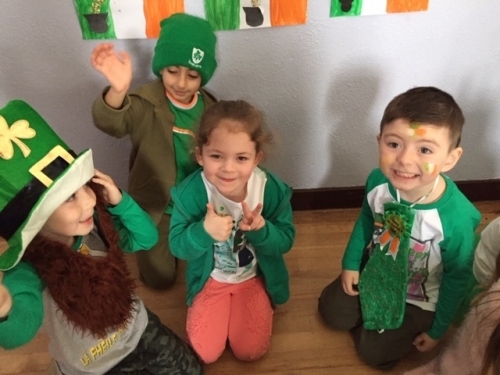 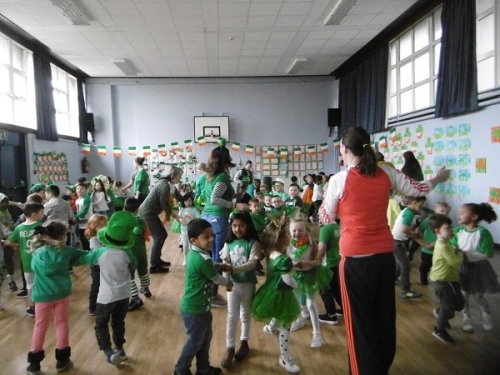 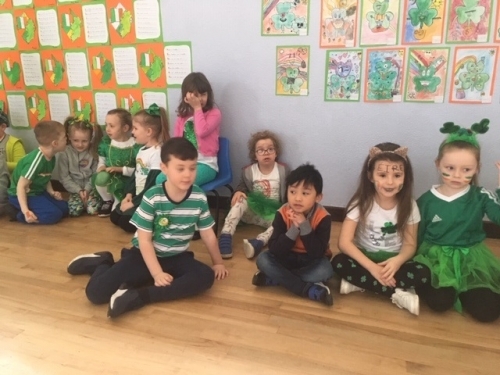 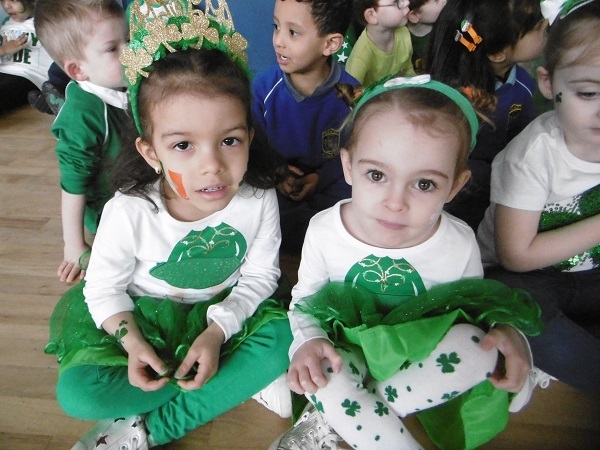 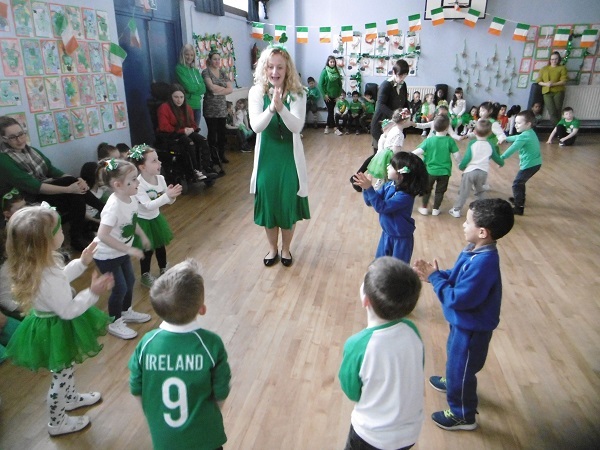 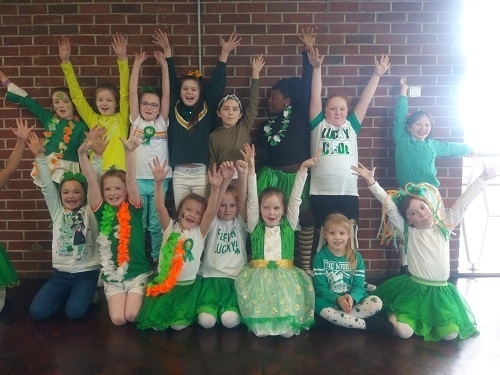 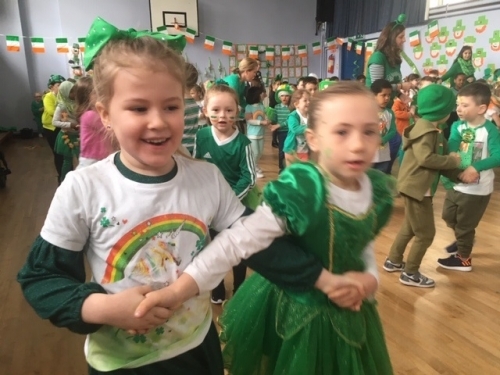 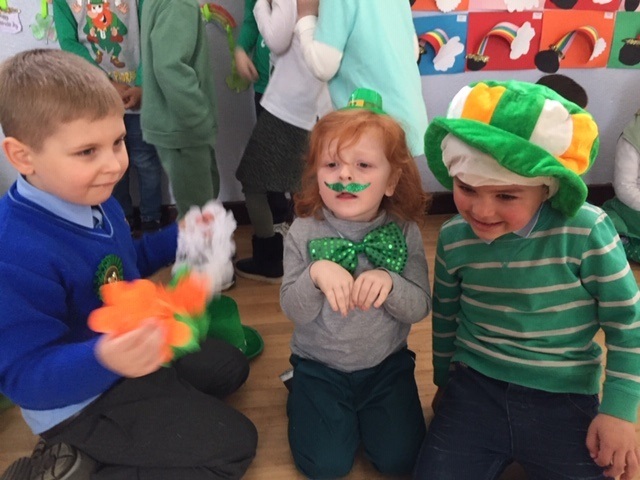 Bhí Seachtiain na Gaeilge iontach againn sa scoil. 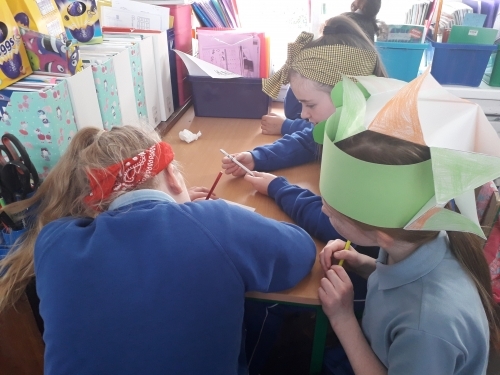 We played cluichí boird ( board games)as Gaeillge in the senior classes. 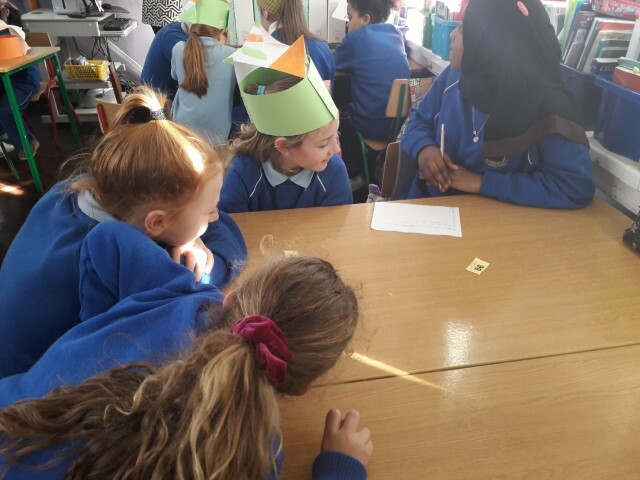 We also had a wonderful demonstation of how butter was made in olden times by Ms Mulherene. 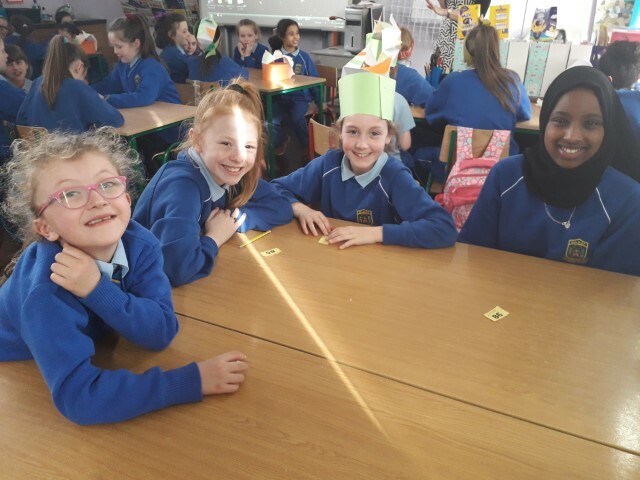 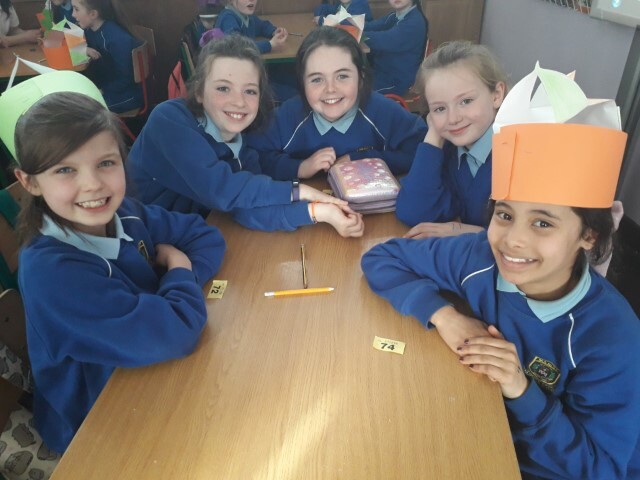 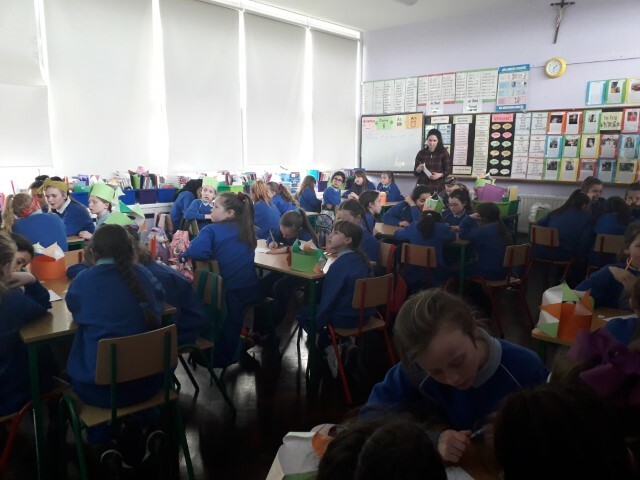 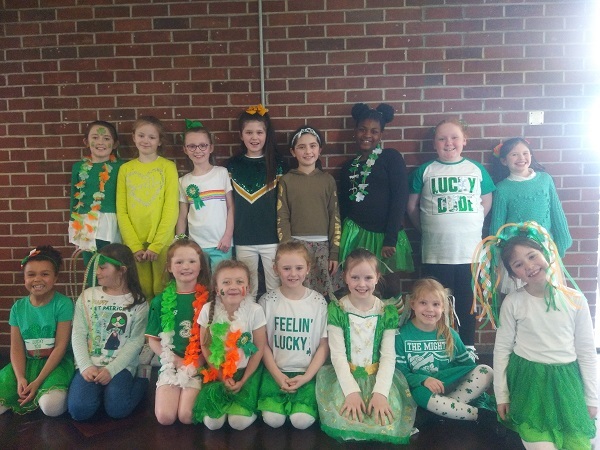 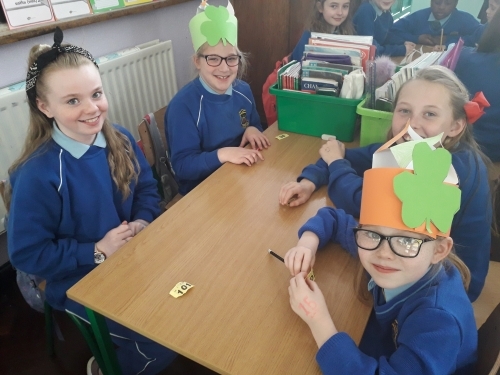 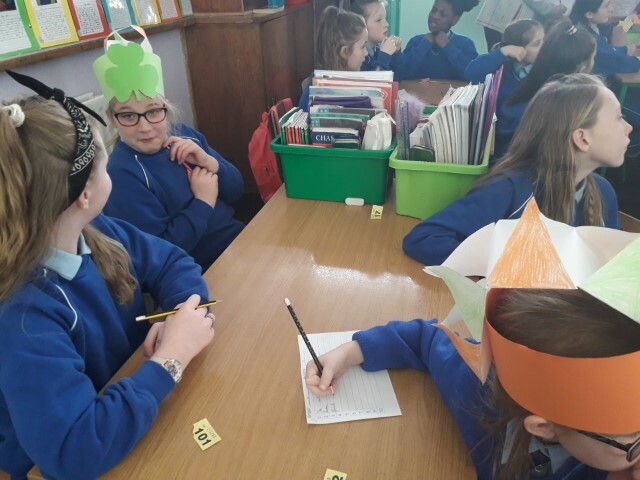 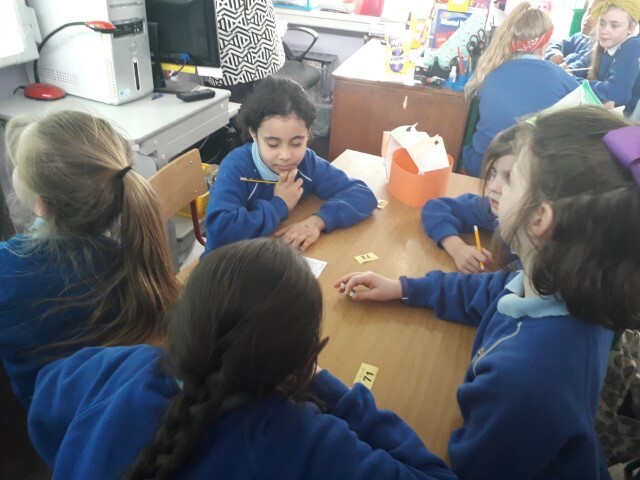 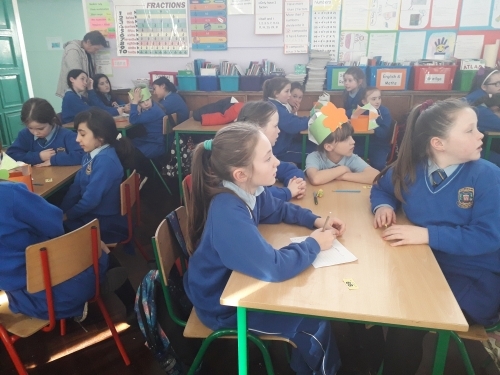 Second to Fifth class took part in Tráth na gCeist a table quiz) as Gaeilge. 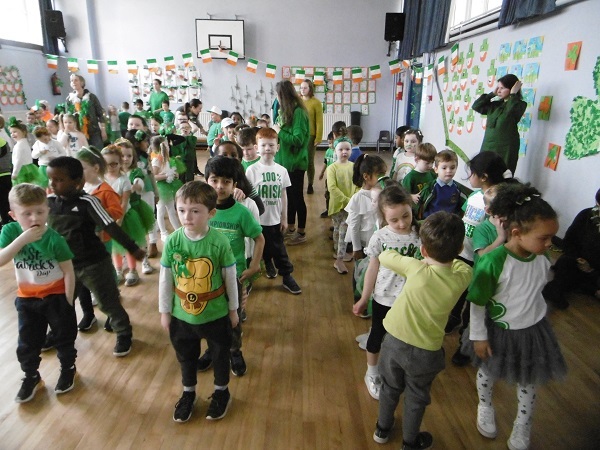 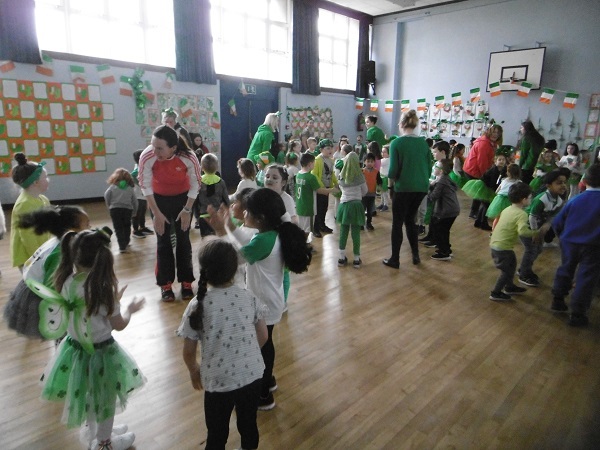 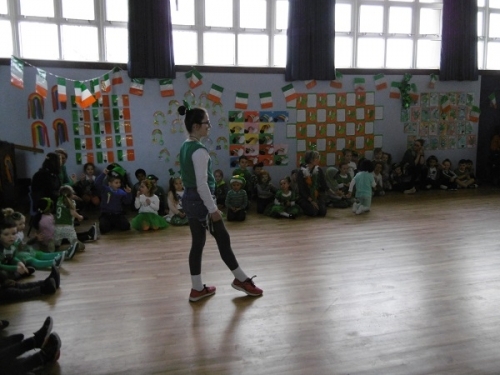 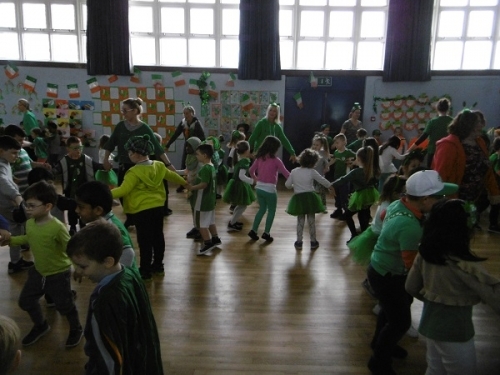 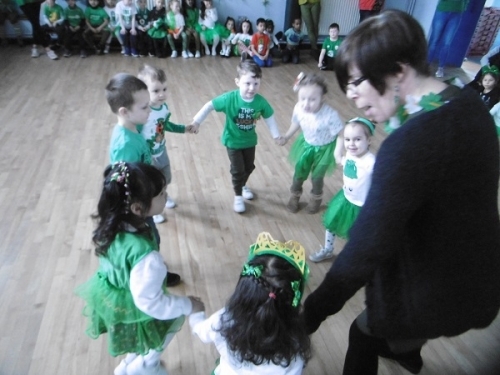 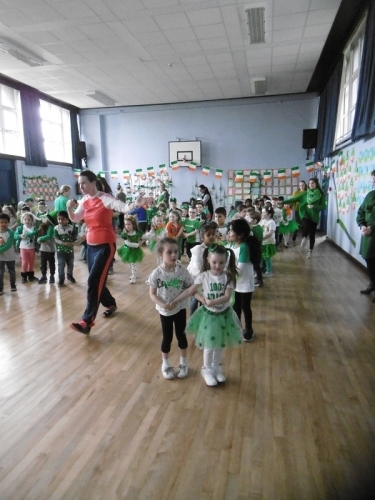 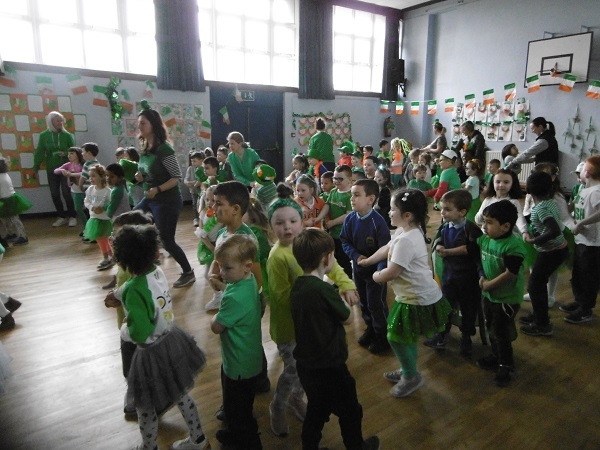 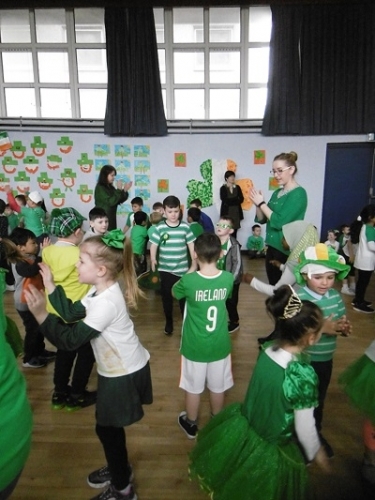 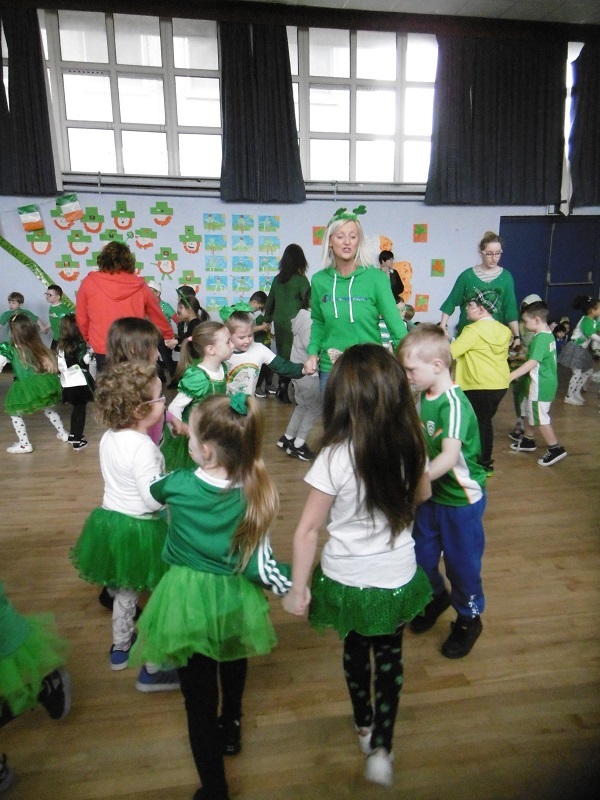 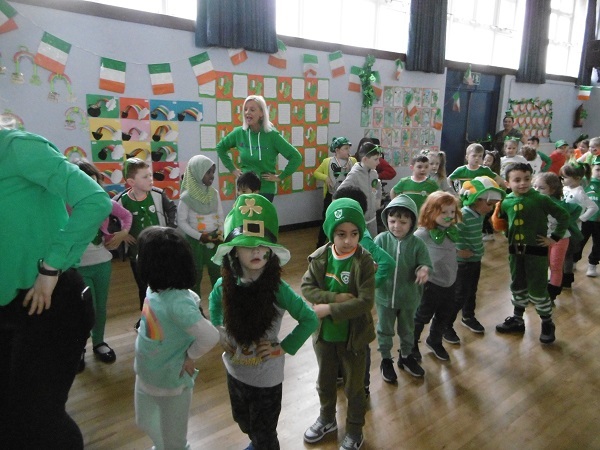 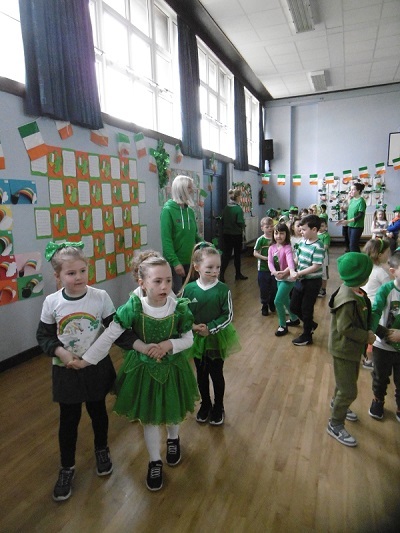 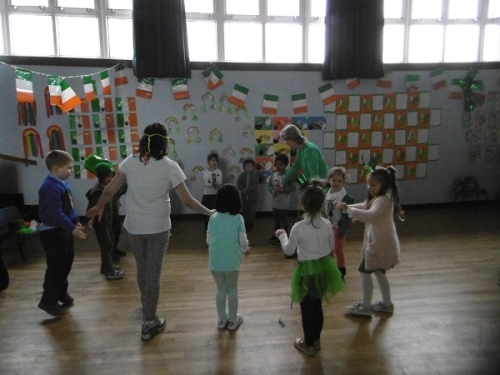 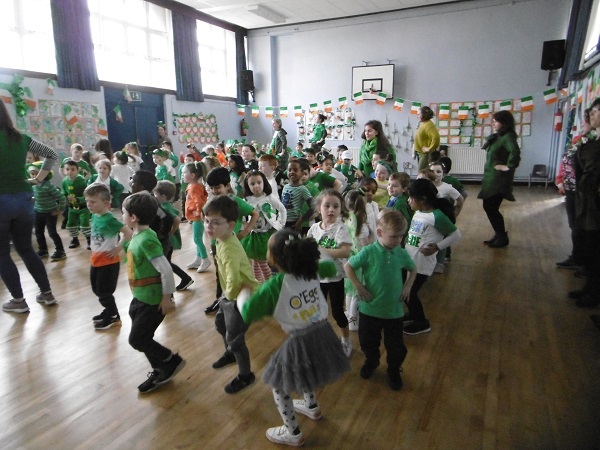 The week finished with Early Start Parades and our annual Ceilí Mór. It was lovely to hear our native language in use throughout the school by everyone. 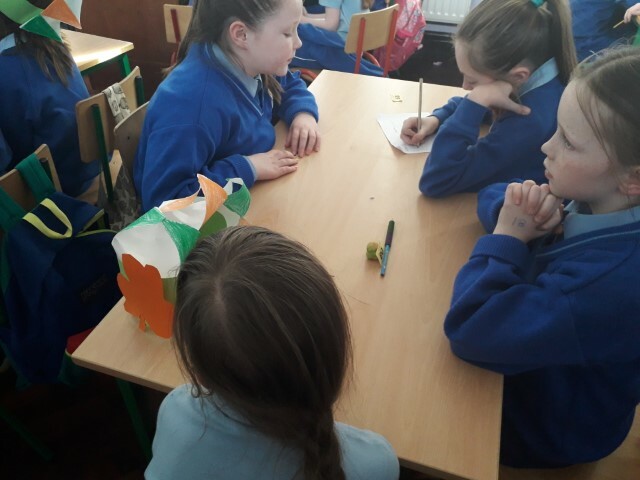 Gaeilge - ár teanga; bain usáid as.